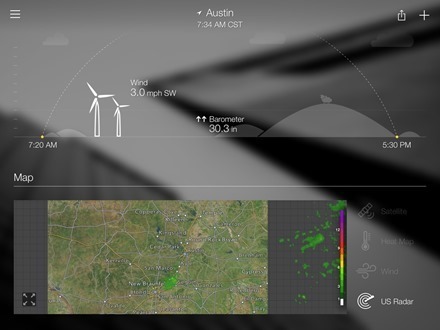 With a quick swipe up you get an hourly forecast and as you scroll down there’s a 10 day forecast, information on humidity, visibility, precipitation chances, a weather maps and more details. A fun element of the app is that it’s easy to share your weather, and the beautiful weather background photos, with just a couple of taps. 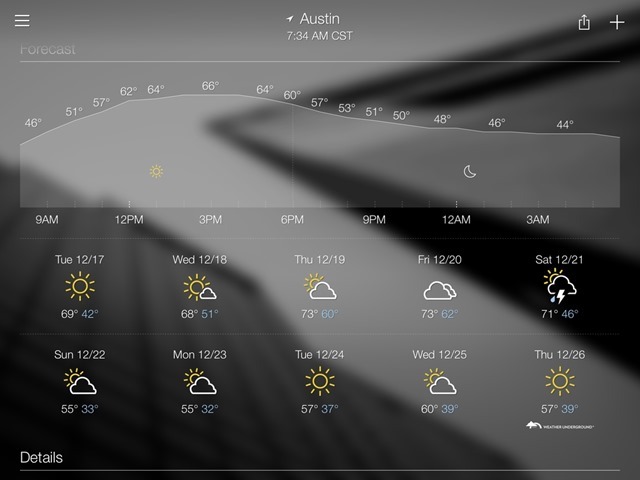 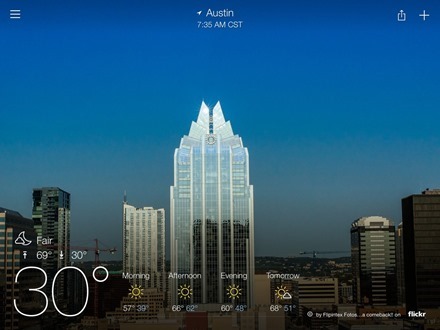 My hometown of Austin is looking just gorgeous in Yahoo Weather, so it would be impossible not to have Yahoo Weather on my iPad’s first home screen. 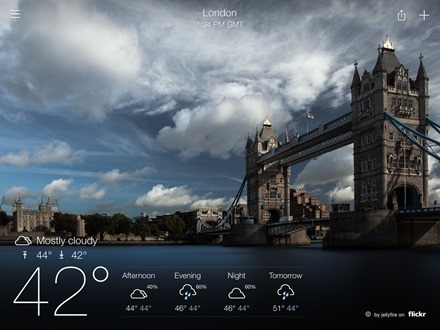 Here’s an App Store link for Yahoo Weather; it’s a free app.